Soprano Ellen Hargis is one of America’s premier early music singers, specializing in repertoire ranging from ballads to opera and oratorio. She has performed with many of the foremost period music conductors of the world including Andrew Parrott, Gustav Leonhardt, Paul Goodwin, Monica Huggett, Jane Glover, Simon Preston, Daniel Harding, Paul Hillier, Harry Bicket, Craig Smith and Jeffrey Thomas. She has performed with the Estonian National Symphony Orchestra, Saint Paul Chamber Orchestra, Virginia Symphony, Washington Choral Arts Society, Long Beach Opera, CBC Radio Orchestra, Freiburg Baroque Orchestra, Philharmonia Baroque Orchestra, Teatro Lirico, Tragicomedia, New York Collegium, The Mozartean Players, Parthenia, Piffaro, Fretwork, Emmanuel Music and the Mark Morris Dance Group, and has become regular performer with Chicagoʹs Music of the Baroque, the American Bach Soloists, Seattle Baroque and the Portland Baroque Orchestra. She has appeared at many of the worldʹs leading festivals including the Adelaide Festival (Australia), Utrecht Festival (Holland), Resonanzen Festival (Vienna), Festival Vancouver, The Monadnock Festival, Tanglewood, the Berkeley Festival and New Music America Festival. She has been featured in successive seasons of the Boston Early Music Festival where she has sung Aeglé in Lullyʹs Thésée, the title role in Luigi Rossiʹs LʹOrfeo, Queen Pasiphae in Conradiʹs Ariadne and Irina in Johann Matthesonʹs 1710 opera, Boris Goudenow. Lullyʹs Thésée and Conradiʹs Ariadne were recorded for CPO and were nominated respectively for 2007 and 2006 Grammys. Ellen Hargis has a longstanding musical partnership with the great lutenist Paul OʹDette with whom she records and tours regularly. They have performed together throughout the United States, Canada, Austria, France and Spain, with recent tours in Russia and Asia. Two duo recordings, released in 2005 on the Noyse Productions label: ʺThe Power Of Loveʺ and ʺA Christmas Albumʺ have been met with critical acclaim. She is also featured on a dozen Harmonia Mundi recordings including a critically acclaimed solo recital disc of music by Jacopo Peri, and in Arvo Pärtʹs Berlin Mass with Theatre of Voices. She appears on a recording of Handel solo cantatas with the Seattle Baroque Orchestra on Wild Boar, the premiere recording of the Bonporti motets for soprano on Dorian, and several recordings for BMG Classics, Vanguard Classics, Virgin Classics, Erato, Dorian Classics and Berlin Classics. Her recording of Tristan et Iseult with The Boston Camerata was winner of the Grand Prix du Disque. 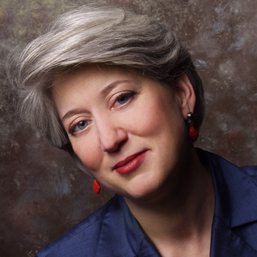 Ellen Hargis teaches voice at Case Western Reserve University in Cleveland, and for The Music Institute of Chicago, and is Artist‐in‐Residence with the Newberry Consort at the University of Chicago and Northwestern University. Ms. Hargis teaches the annual Vancouver Baroque Vocal Programme: The Compleat Singer each August.